Inspiration comes in many forms. It comes on a walk, or from song. The shower has been a constant source of inspiration for many creatives. For me, one of the places I get my inspiration from is Houston, more specifically my childhood home. This has been my epicenter of inspiration . Ironically, one of the biggest lessons I’ve learned as a writer came when I was home during this time last year. Inspiration hit while on my sick bed. How sick was I? I’m talking I can’t drive back to Louisiana sick. Mom called my boss to let them know I wasn’t coming to work. Yes, THAT sick. It was like being back in school all over again. Since the good folks at Kleenex (for the Spanish version click here) are paying me to write a post, I’d thought I’d write the tale of my last sick time in Houston. This is as a fable –there’s a story and a lesson at the end. Stick with it. Like I said, it was this time last year. I was home exactly 2.5 seconds when the first cough hit. “Oh, it sounds like you’re going to be sick.” Mom said with a knowing smile. “You don’t know me,” I said jokingly. Oh buts he did. And she knew my cough. By day two, I was in bed sneezing, coughing and generally waiting for death. It hurt to breathe and all I wanted to do was sleep. And I did. 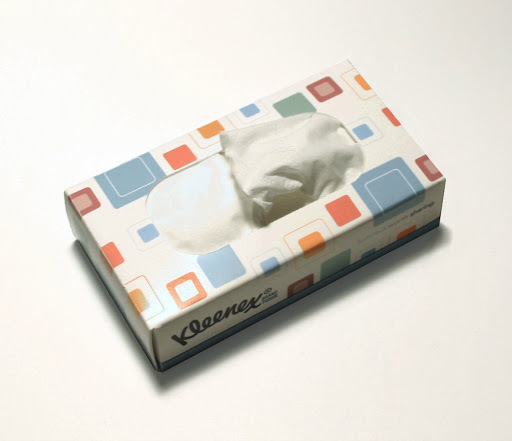 Thanks to the folks at Kleenex for sponsoring this post. Those dreams were ripe for storytelling but to this day, I can’t remember what I dreamed. However, I knew my over active imagination was to blame for me waking up in the middle of the night as much as my cough. I worked through plots of novels I had yet to write. I worked through plots of novels other people had written. I was fairly certain that during one of these episodes of delirium I may walked around the house thinking I was back in high school and got ready for school. My mom, of course, stepped into the role of nursing me back to health easily. It was like I never left. Theraflu, honey, Vicks rubs, alcohol rubs and, I’m fairly certain, rum was probably involved at one point. Chicken soup, caldo, orange juice — there was enough liquids in me to burst. That’s when I got to thinking about the care my mom took in making me well again. She was patient, kind, and lost some sleep herself in all this. Writers are like moms. Our characters are our children. Isabel Allende said that fiction comes from the womb. That means we give birth to our stories and creating them on the page is a hard birth. In the center of all that are the characters. They are the center of the stories, their experiences and thoughts are at the epicenter. We know them well and when they start “coughing”, we already know what will happen. As writers we just have to be ready to nurse them back to health. It’s ironic that years after I moved out of my childhood home, I’m still learning from my mother. She never ceases to amaze, and teach. Previous postNaNoWriMo is over. Now what? Revision time!